Not every bag we sew has to be difficult, complex, time-consuming or an epic sewing project lasting days. Sometimes it’s fun to quickly run up a simple project when you really want to sew but don’t have a lot of time, or perhaps a lot of materials on hand. This Grab Bag is a nice simple saw and makes a soft bag you can just dangle over your wrist. Materials are kept to a minimum making this a good budget project too. Even better, with no complicated closures or zippers, this is an ideal beginner sewing project and one you could use to teach sewing to someone new. 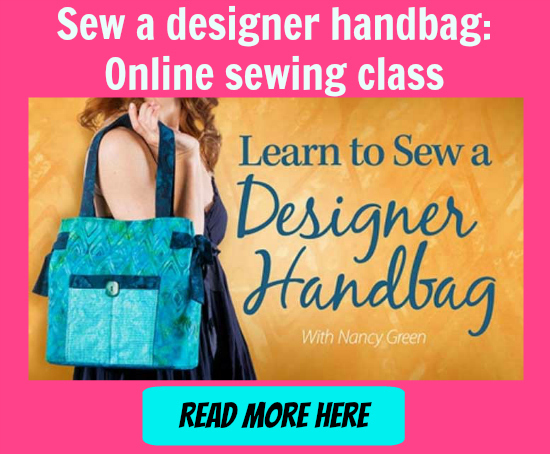 Your daughter, grand-daughter or neice would be so delighted if you showed them how to make this bag and allowed them to pick their favorite fabrics for it. Pass on the love of sewing with this fun bag sewing project and free pattern.